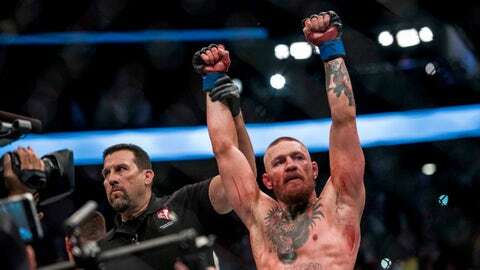 Undisputed: Would a Conor McGregor-Floyd Mayweather fight even be entertaining? British tabloid The Sun is reporting that UFC superstar Conor McGregor and boxing legend Floyd Mayweather have agreed to terms on a megafight that will surely earn both men a colossal amount of money. The two fighters have been teasing a potential clash and have repeatedly taken jabs at each other in interviews and on social media, but according to The Sun, the fight is expected to be announced in the coming weeks. On Tuesday's episode of Undisputed, Cris Carter and Nick Wright broke down the potential bout and explained why McGregor-Mayweather is destined to be a major letdown once the bell rings. Nick Wright: Everyone will get rich. It will not be entertaining. “I’m happy for Conor McGregor because this is a chance… to double or triple his net-worth. I think he could probably make 30, 40, 50 million dollars from this fight. And I hope that money’s worth it, because he is drawing dead to win this fight. You can not ask someone who is not a professional boxer to go in the ring against the most technically sound boxer that I have ever seen. … Since I’ve been watching boxing, nobody - ever - has been clean contact with than Floyd. The idea that McGregor could go in a boxing ring and have any chance at winning. Everyone’s like ‘[he’s got] a puncher’s chance.’ A puncher’s chance only exists if you can land the punch. I don’t think McGregor could. So yeah, I’m sure everyone will get rich. It will not be entertaining. The lead-up will, I’m sure the way they market the fight with the Irish Conor McGregor vs. the bad boy Floyd Mayweather… but I don’t think the actual fight itself will be any good." Cris Carter: This is not McGregor's game. "I thought that if this fight ever happened it would be made on these terms. That’s the only way Floyd would ever participate in anything, because there’s no way he would fight UFC style. It’s just like Usain Bolt. He’s very, very fast. And the NFL is a fast league. But he can’t play in the NFL. And the reason why is because the technique that it requires to be a wide receiver… you think he could? Well that’s why they booked this fight. Because they thought Conor McGregor, supposedly the baddest man on the Earth, could get in a boxing ring with boxing rules, boxing gloves, and fight Floyd. I think he’s at a distinct disadvantage because this is not his game. This is what Floyd does, and if you think Floyd ran the last 10 years of his life - not only running in the ring but running from opposition - at 40, what style do you think he has going into this fight. Because boxers, professional boxers, couldn’t lay a glove on him." 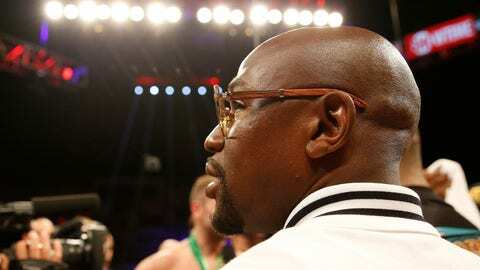 Nick Wright: Mayweather will win with the same style that has bored casual fans for years. "They don’t match up, the way [Floyd] lives his life and the way he fights. He lives his life so recklessly and so extravagantly. And I think, outside of the ring, if you want to say he’s a bad guy - not in a positive way - I think you have reason to say it. But inside the ring, he’s like an OCD artist. He is so calculated and so precise and he thinks so many moves ahead like a great chess player. Floyd ain’t interested in knocking nobody out. 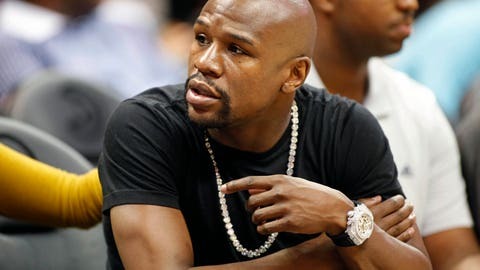 Floyd is interested in being able to go to the club after the fight not looking like he was just in a fight. Which is why his fights, unless you are a boxing nerd, are not that fun to watch. They’re not that interesting."